Looking for deeper insight on markets? In tonight’s Closer sent to Bespoke Institutional clients, we break down how equity markets reacted to the midterm elections last night. 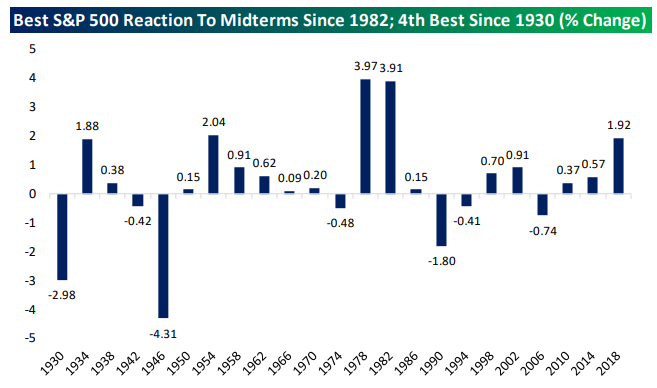 This was the best one day change in the S&P 500 on the day after the midterms since 1982, but the drivers of the rally are totally unrelated to what sent up stocks in the post-Presidential election rally. We also review weekly EIA petroleum market data and some fixed income price action.